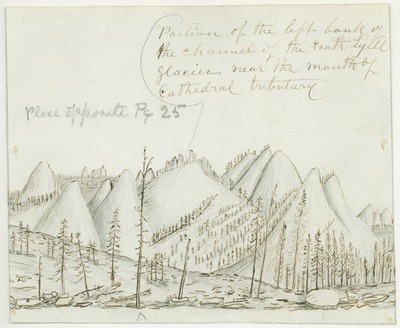 Illustration for "Studies in the Sierra No. III: Ancient Glaciers and Their Pathways," opposite page 25. Original drawing dimensions: 14.5 x 17.5 cm.